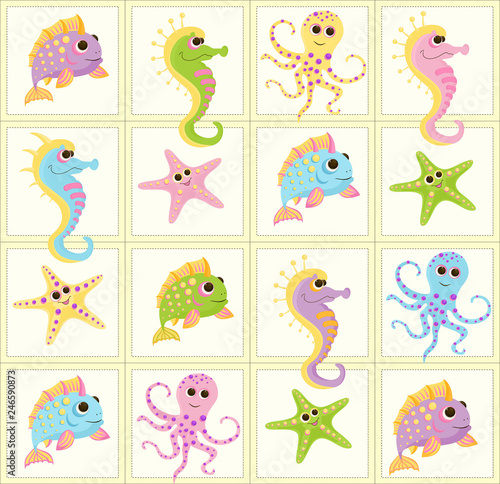 > Fototapeta>Przeznaczenie>Pokój dzieciecy>Seamless baby pattern with cute fish in ocean. Vector bright sea life illustration for kids. Seamless childrens background for wallpapers or textile.